Battle on the Beach at Pembrey Country Park in Wales is mountain bike race like no other I have ridden before. For a start its a relatively flat course, peppered with some seriously steep, short, sharp climbs to clamber up. And while I’m used to mud and roots beneath the tyres, it is a novelty to ride through deep sand. Into a headwind. Let’s just say, when the 45 km is up, you know you’ve been for a ride – albeit one that was fantastic fun. There is a mass start and three laps – each lap consists of 5km beach, 5km forest road and 5km single track. After the initial sprint down the beach (wind behind us) we then turned into the dunes and rode the tracks and trails back to the start – straight into the headwind. The single track isn’t the most technically demanding but was fast and flowing, and it was made all the more ‘exciting’ by the leading riders who lapped many of us before we’d done our first circuit. There wasn’t a lot of room to squeeze past – not that any of them were deterred from trying. Although it was a race, there was a fantastic, friendly atmosphere particularly amongst us ‘also-rans’ who made up most of the 800 riders in the event. It was also the most beautiful day – full sunshine from start to finish. When it comes to bike choice, Battle on the Beach kind of resembles a village dog show, but with mountain bikes: riders turn up with everything from super light gravel bikes to fat bikes and tandem mountain bikes, and ride side by side. I rode my Cotic Flare 650b trail bike and was really glad of its grip, full suspension and relatively slack geometry particularly while negotiating descents through deep sand, or on the bumpier sections of forest track where there were riders to overtake or coming up from behind. If you were riding for the win, then a hard tail 29er was the order of the day – along with Olympic levels of fitness: 45km is a long way to ride on full power. Here’s a film to show you more of this amazing event. Be sure to register for 2018! Portraying women’s mountain biking in a positive light – three great media campaigns you have to see. I’m always on the look out for ‘good news’ media that understands women’s mountain biking and portrays it in a really positive light. The latest to drop into this happy file is this short film by British mountain bike component brand Hope. Its part of its #Hopetechwomen project to inspire women to push their boundaries and get together to ride. This new, spectacularly beautiful short film made me want to jump out of bed very early indeed and greet the dawn on my mountain bike (and believe me, usually I like a lie in!!). 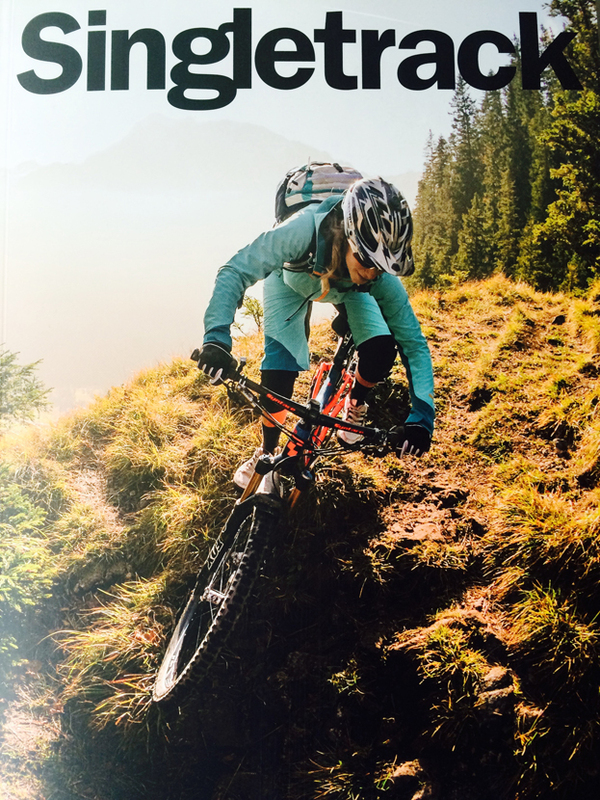 Hopetech Women are also running a series of women only mountain bike rides around the country, coordinated by brand manager and enduro rider Rachel Walker (who also features in the film above!). The rides are fantastically well organised and lots of fun, whatever level you ride at – I urge you to go along even if you’re a bit nervous (I can virtually guarantee you won’t be the only one with butterflies!). Read my review of the one I joined in Peaslake, Surrey here and find out where the next rides will be held too. I can’t write a post about women’s mountain biking media without mentioning Sealskinz #iamendurance campaign. Featuring rider Traharn Chidley, it is a powerful story of this athletes journey from darkness to light, in part thanks to mountain biking. Be warned – it may move you to tears. Finally, from the archives, I come back to this photo post on Pinkbike from 2014 – Endless Biking: Mother Huckers documents the lives of a group of mountain biking mums, the importance of taking care of yourself and the value of friendship. I’ll continue to update on really amazing, positive portrayals of women who ride. If you know of any great examples, let me know!!! !